PULLMAN, Wash.—Fé Lopez, executive director of Seattle’s Community Police Commission (CPC), will discuss “The Power is in the People: The Importance of the Community’s Voice in Police Reform” at a free, public lecture at 3 p.m. Monday in CUE 202 at Washington State University. A WSU alumna, she returns to Pullman as the guest of the Pre-Law Resource Center and the Common Reading Program. She plans to explain how the City of Seattle is addressing concerns of racial bias and excessive use of force by inviting key input from its citizens. And how Seattle’s experience can inform the national conversation about social justice, violence, and policing. Lopez has led the commission since her appointment by former Mayor Ed Murray in January 2014. Lopez is a WSU alumna who earned her law degree in 2006 from the Seattle University School of Law. She is praised for her longstanding commitment to community service and advocacy for the underserved. 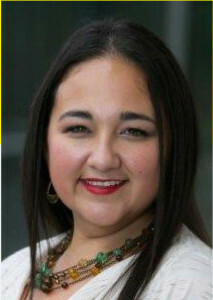 She is past president of the Latina/o Bar Association of Washington and is active in minority bar associations and the social justice community. In 2013, she received the Excellence in Diversity Award from the Washington State Bar Association. After earning her J.D., she worked for the King County Prosecutor’s Office before returning to Seattle University as assistant, then director, of the law school’s Student Life office. In 2012, she became director of the school’s alumni relations and annual fund. The Community Police Commission was formed in response to citizens. The 2010 shooting death by Seattle police of First Nations woodcarver John T. Williams, plus a series of other serious incidents involving police and people of color, ignited public concern about bias and the use of excessive force by the police. After a federal investigation, the City of Seattle signed a settlement agreement with the U.S. Department of Justice to reform Seattle Police Department practices, as well as a memorandum of understanding that established the work to be done over three years to ensure bias-free policing and address the issue of use of excessive force. By ordinance, the City of Seattle established the CPC to provide community input on the proposed reforms. The CPC was mandated under the memorandum. The commission began its work in March of 2013.